Are you looking for a high output indoor our outdoor LED flood light? Well go no further because you just found a quality bulb priced to move! 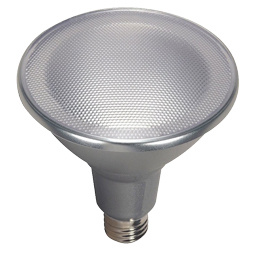 This Flood light LED can be used in all residential, commercial and retail locations. Super tough outdoor flood bulbs for landscape and security lights that are exposed to water. When you need to Illuminate your landscape and highlight your building exterior with color. Replace inefficient 100 and 150-watt flood lights today with 16 and 23-watt Par38 LED flood lights. Superior Lighting offers a wide selection of high output indoor and outdoor LED flood lights available at unbeatable wholesale prices. Pick from Superior Lighting’s offering of Par38 floodlights, wet-location Par38 floodlights, and colored Par38 floodlights. Consumers can expect a nice rounded beam from these floodlights with beam spreads ranging between 25 and 40 feet (depending on the type of bulb purchased). Par38 floodlights are perfect for outdoor security lights, motion sensor lights, and large landscape floodlights. 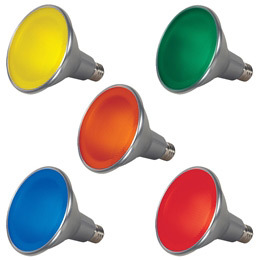 Choose from a range of color temperatures, including: 2700k, 3000k, 4100k, and 5000k. 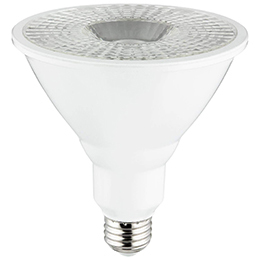 Par38 floodlights are completely dimmable and rated for 25,000 hours of operation.